The Sculptors Workshop pottery sale will be Saturday, November 17th (10:00am-2:00pm). Join your fellow pottery enthusiasts in the hunt for unique, local, handcrafted gifts and meet the artists who made them! 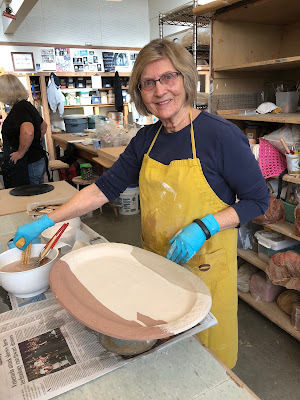 The Sculptors Workshop has been a fixture on the beautiful Edmonds waterfront for more than 50 years. Members of the pottery co-op look forward to meeting you and hope to help you find a great, new piece of art. Sculpture, platters, bowls, mugs, vases, and many more items will be available. For more information—and sneak peeks of the artwork that will be available— visit the Sculptors Workshop’s Facebook page. Come see us Saturday, November 17th (10am-2pm) at the Frances Anderson Center (Rm 210) at 700 Dayton St., Edmonds.